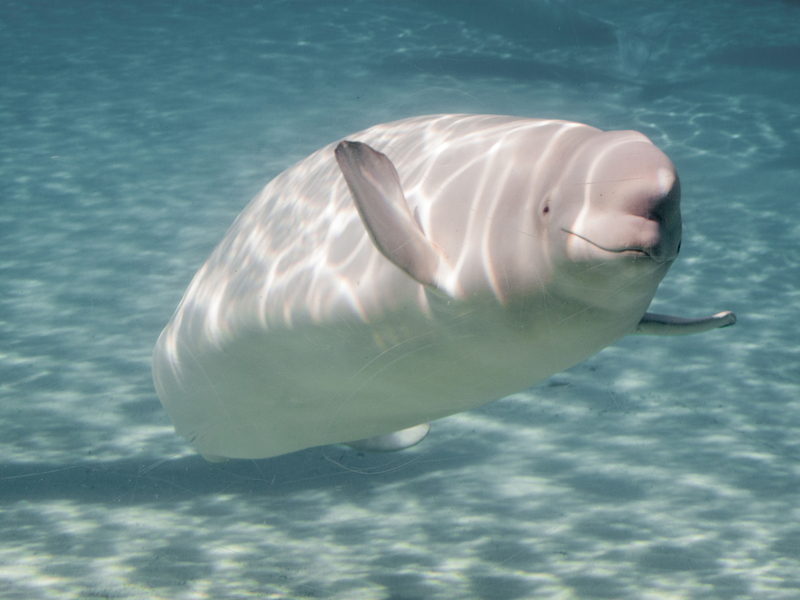 The Beluga Whale is one intriguing creature! Though it’s one of the smallest whales, it stands out everywhere. 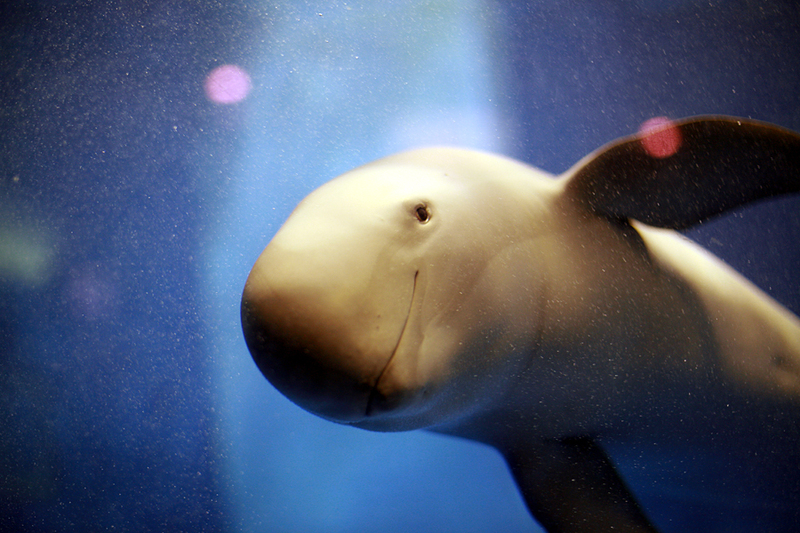 From the very first glance, the Beluga Whale stands out with its stark white color and friendly appearance. This species is an Arctic and Sub-Arctic cetacean. Often called the white whale, the beluga shares the same family with the narwhal. Its adaptation to life in the frigid waters of the Arctic means it has evolved several anatomical and physiological characteristics different from other cetaceans. For instance, its body has a high proportion of blubber, it lacks a dorsal fin, and has a stark all-white body color. Also, its sharp sense of hearing and echolocation enables it move about under ice yet it can quickly find blowholes under the ice covering so it can breathe. Learn all about the Narwhal. This medium-sized whale has a tooth growing right through its lip. An Illustration Of A Narwhal. The Narwhal is a medium-sized toothed whale that belongs to the Monodontidae family. 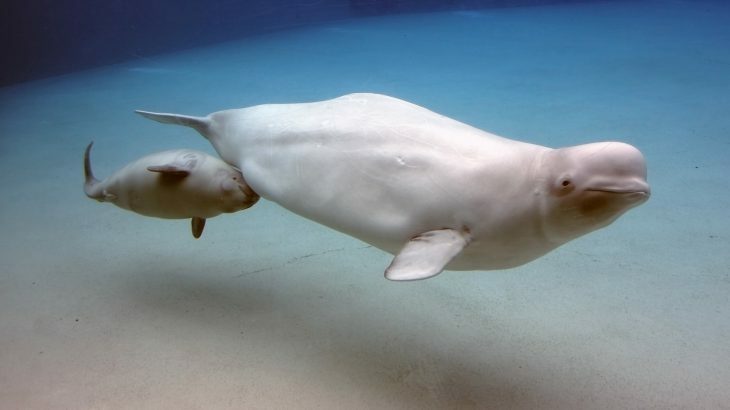 The only other member of this family is the Beluga whale. Narwhals are easily distinguishable by one unique feature: males of the species, and even a few females, have a large “tusk” that protrudes out of their mouth. In fact, this tusk is an “overgrown” canine tooth that pierces through the left side of their lip. This spiral-shaped tusk was once touted in past centuries as a unicorn’s horn and sold as such to unsuspecting buyers! Join us as we briefly explore the hidden world of these giants of the Oceans in our compilation of facts about whales. 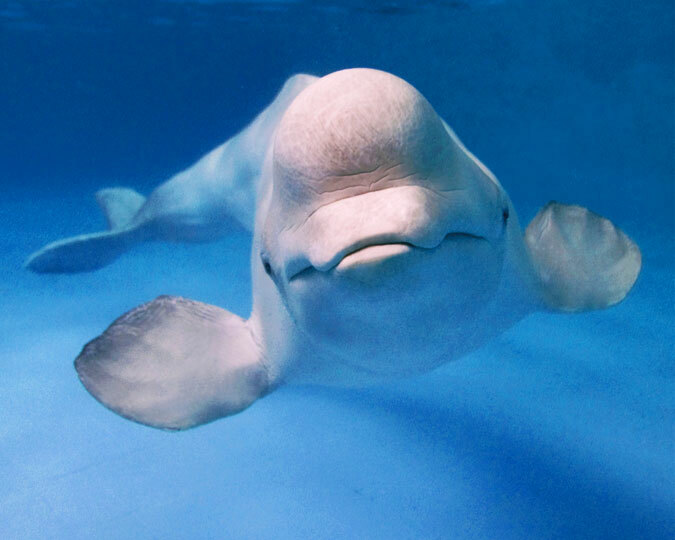 Beluga Whales Love Music And Some Of Them Can Mimic Human Sounds. The gentle giants of the Oceans are some of the most mysterious and awe-inspiring creatures we share our world with. Whales have been around for millions of years before we humans even showed up. Some species like the blue whale are so large that they would have little trouble sinking a modern day oceangoing vessel. Yet with all their massive size, they go about their business with so much grace and without causing a fraction of the havoc that humans do!